Structure reports by team, individual, location, and more. Drill down quickly and efficiently to drive execution in real time. Assign report permissions to protect data security. 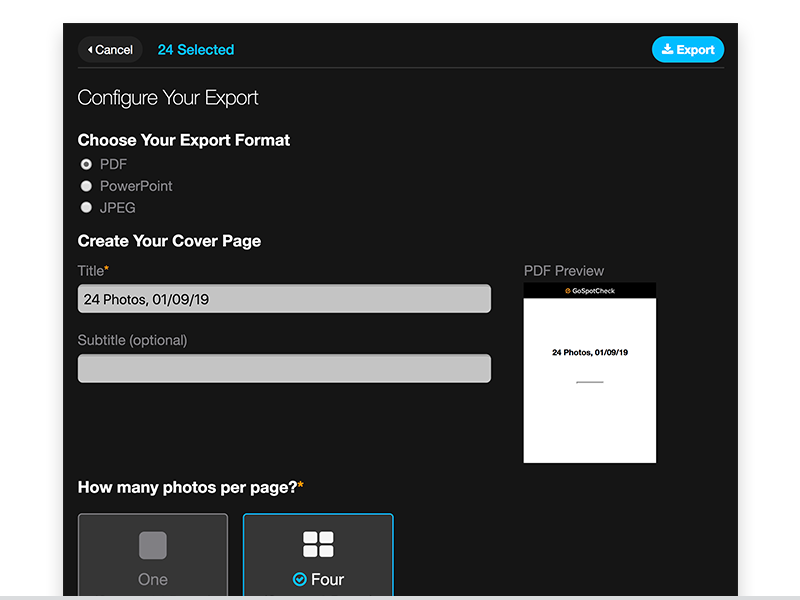 Export reports, graphs, photos, and albums to internal or external partners in in XLS, CSV, JPG, PPT, PDF or zip formats. Organize photos by location, task, user, and more. Review full-field albums to spot anomalies, issues, innovations, and best practices. Set alerts when images are uploaded. Share photos and albums efficiently with partners. Identify opportunities to improve execution at a glance. Expertly monitor performance. Seamlessly integrate external data sources to gain a holistic view of your business. Drive accountability with under-performers. ‍Understand your areas of risk. Prepare and react to strategic opportunities that impact your bottom line. 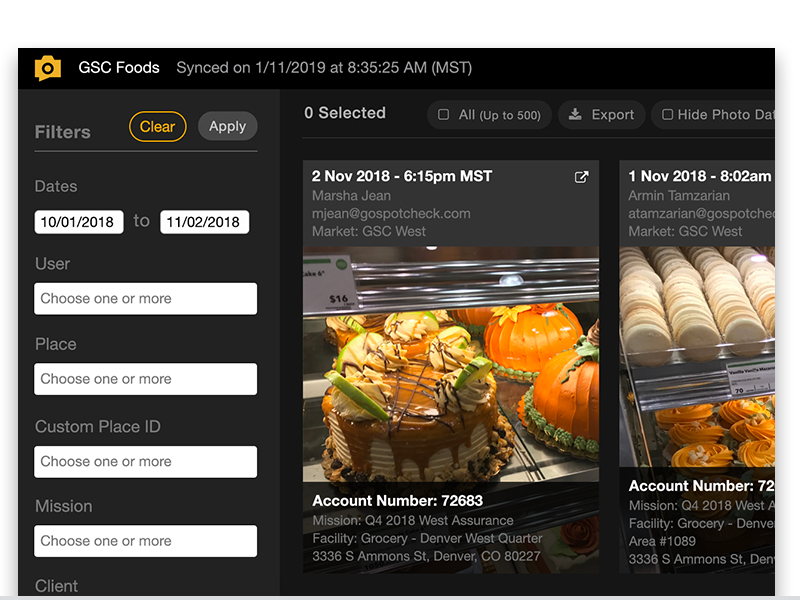 Use dynamic image analytics and photo albums to display and organize photos by date, location, task, or other criteria. Receive alerts on critical or time-sensitive images. Download and share images easily in PDF, JPG, PPT and album-based reports. Get powerful business intelligence reporting in an easy-to use, self-serve format with our Insights reporting suite. 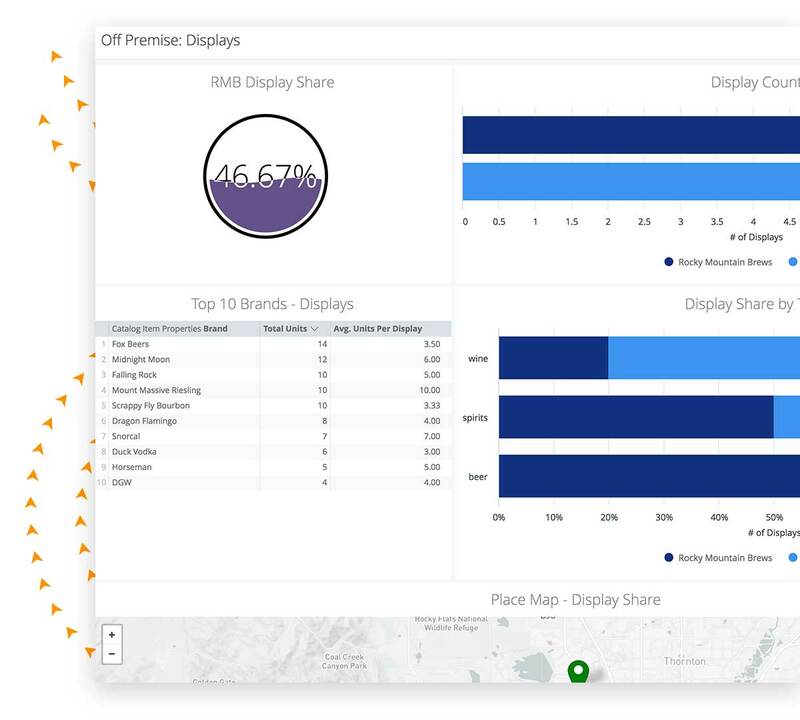 Use real-time dashboards to visualize data and field conditions. ‍Filter data dynamically. Control data access and permissions. Schedule and send custom reports built on filter logic. Share data via scheduled emails, SFTP file drips, CSV and PDF formats.